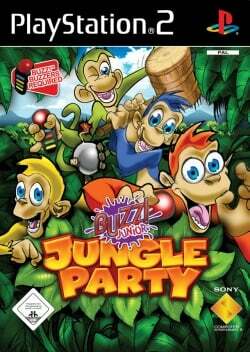 Game description: Take control of a mischievous monkey to challenge your friends and become "King of the Jungle." Use the Buzz! Buzzers to take part in the fast, fun and frantic action. Mini-games galore: Risk your neck in a lions mouth, pelt coconuts at menacing tortoises or enjoy some "farty" time when relaxing in the jungle Jacuzzi (but beware of the head bashing gorilla! ).